The Adidas Boxing AIBA Licensed Boxing Gloves - Cowhide leather with transferred white round punch area. Lined with taffeta waterproof lining. Wrap around velcro strap closing. Padded with highly absorbent 'MFS' technology moulded foam. 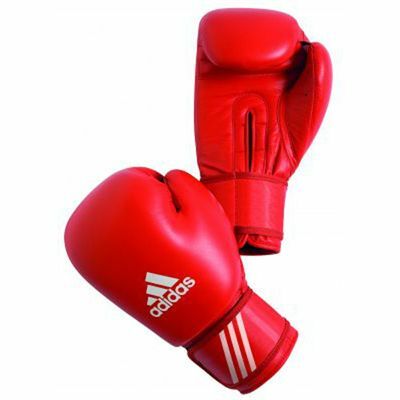 for submitting product review about Adidas Boxing AIBA Licensed Boxing Gloves .